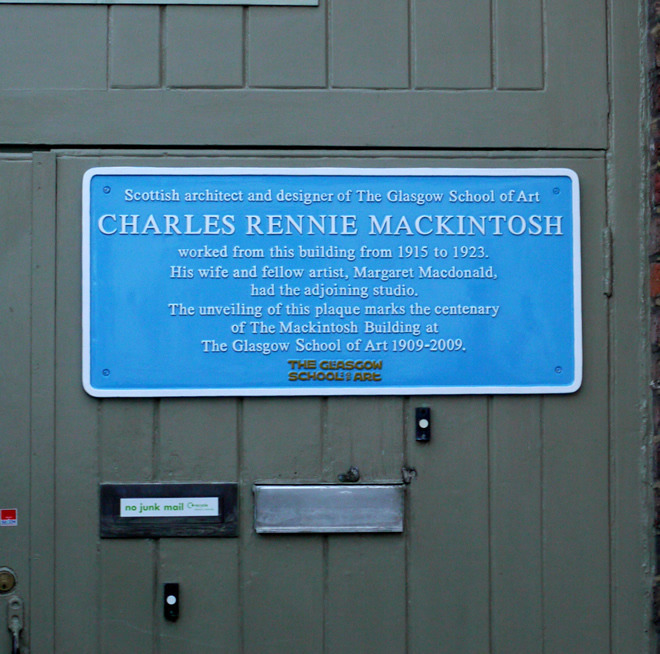 Scottish architect and designer of the Glasgow School of Art, Charles Rennie Mackintosh, worked from this building from 1915 to 1923. His wife and fellow artist, Margaret MacDonald, had the adjoining studio. 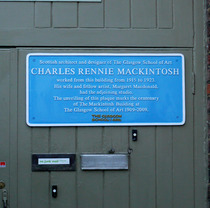 The unveiling of this plaque marks the centenary of the Mackintosh Building at the Glasgow School of Art, 1909-2009. Presumably this is where he lived.